Peace be with you! I hope you have had a nice week and that you are fully recovered from your Super Bowl parties. Let’s get started with tonight’s five topics. Keto Snack – I usually don’t eat anything keto-related, but I made a recent exception. 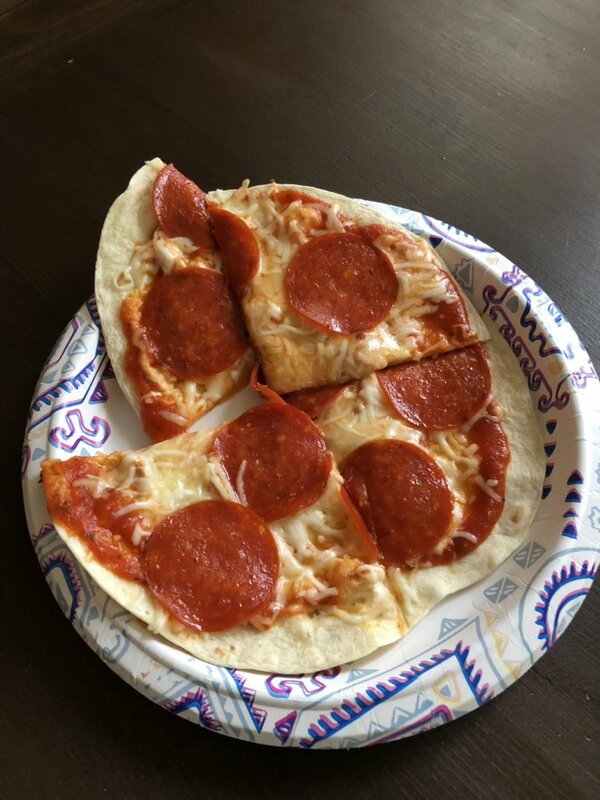 What you see below is tortilla pizza, a dish that Sid made from the keto cookbook that Sloan gave her as a birthday gift. You simply take a low carb tortilla and layer it with sauce and cheese. Sid then cooked it on the stove. Although this is too light for a meal, it sure made for a great snack. This is the tortilla pizza that Sidney made. The Claw – This morning I saw a story about a unique situation in Alabama. A toddler managed to trap himself in a claw arcade machine. Do you know what I mean? I am talking those games where you position a three-pronged claw to grab a stuffed animal or other toy long enough so it is dropped and dispensed. The boy crawled up through the dispensing door, finding himself right in the middle of toy land. He required rescue assistance from the fire department. I remember when I was 7 or 8. I was at a Safeway with my mom. As we were leaving, I watched an adult woman play a claw machine. She put a dollar in and failed at both attempts. She put another dollar in. No luck. Then another dollar and another dollar. Still another dollar. After what seemed like $20 (far more than any of the prizes in the cage), she managed to capture a stuffed animal, the claw successfully grasping it long enough to dispense it. Without saying more than two words, she grabbed her hard earned prize and handed it to me as she walked out into the parking lot. 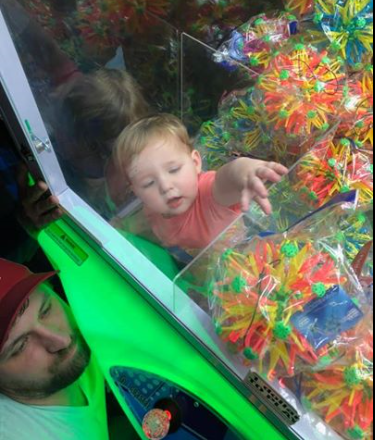 This boy trapped himself in a claw machine. Sloan Update – Just the latest ramblings on Sloan…she is turning into an accomplished singer. She has about 6-7 songs in her repertoire that she will perform for us. She has her ABCs down and her favorite letter is S. She can finally say her name after learning the names of everyone else in her life first. 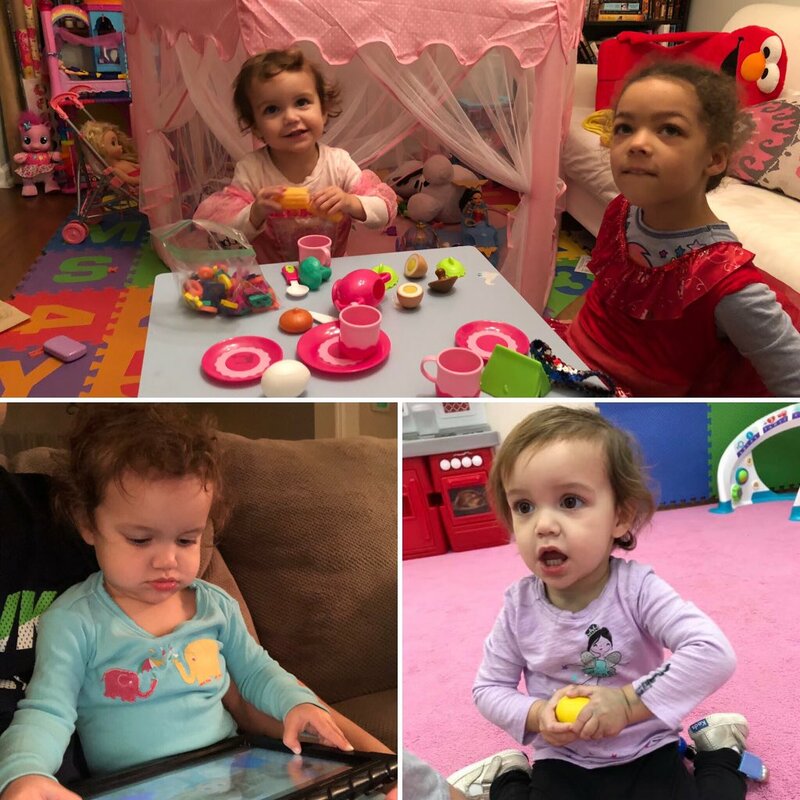 Her daycare has taught her so much, including animal sounds and table etiquette. She constantly says “church” but sometimes she can’t stay still once we actually arrive and sit in the pew. She loves cats but dislikes dogs. She lives a good life. Some recent Sloan photos…the top image is with her friend, Riley. Getting GIPHY With It – At #CCUSocialMedia, we know GIFs aren’t going anywhere. In fact, we realize they are as popular and versatile as ever. We have plunged head first into the new brand accounts offered by GIPHY. Thanks to our new social media specialist, Anthony Bowser, our presence on the platform has been felt. Anthony created an entire selection of unique CCU GIFs, quickly racking up over 1.4 million views on our account. The best part is that these Chanticleer-inspired GIFs are available for use on Instagram Story and Snapchat. Want to add some teal to your Story? Simply type “Coastal Carolina University” in the GIF bar. 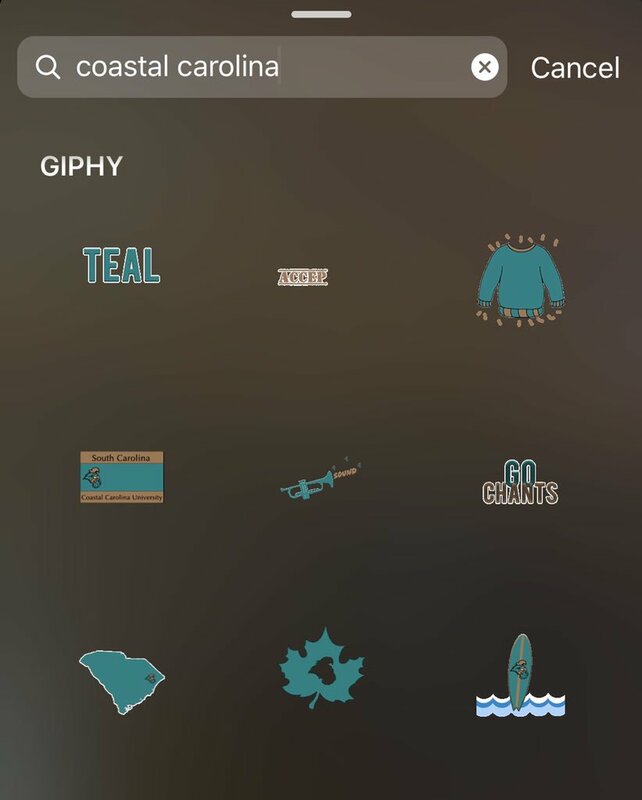 Make sure to add these Coastal Carolina University GIFs to your Instagram Story. Happy Birthday, Monopoly! – The game of Monopoly turns 84 today. I think all of us have memories of games that lasted for hours. For me, playing Monopoly as a kid made me feel sophisticated and grown up. 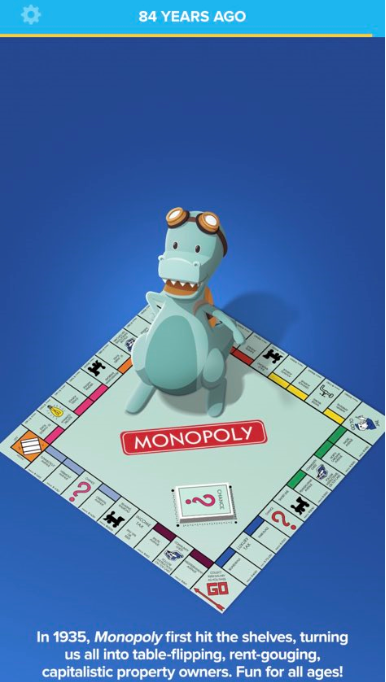 We certainly didn’t play by all the official rules (we seriously sweetened the Free Parking jackpot) but we grasped the lessons that Monopoly teaches – buying/selling, managing money, strategy. As long as I got to be the cannon game piece and didn’t land on Broadway when it was owned by someone else, I was a happy camper. Happy birthday to this classic game! I appreciate your time this evening and I hope you enjoy your weekend. Remember that the Grammy’s are on this Sunday night. Don’t Blink.